Barnsley will be hoping that Mike-Steven Bahre will be able to beat defenders as skilfully as they beat the loan deadline to bring him to the club. The Reds completed a season-long loan deal for the tricky Hannover winger in the nick of time, getting the paperwork done minutes before the 5pm deadline yesterday. They also have the option to turn the move into a permanent one at the end of the campaign. It means a positive end to the summer transfer market for the Reds and they beat off competition to bring the 23-year-old to Oakwell where he hooks up again with boss Daniel Stendel. Stendel was keen on a reunion ever since his arrival in South Yorkshire, but it in the end it came down to the final few moments as Bahre flew into the UK on Friday afternoon to get the deal done. Stendel will be hoping that Bahre is the final piece of the jigsaw as the Reds now continue with what they have got until January. “We’re really pleased to have signed Mike,” chief executive Gauthier Ganaye said. “He’s a player that Daniel mentioned instantly to us when he arrived at the club, so we know how highly he is regarded and the quality he has got. It is unlikely that Bahre will be involved as the Reds try and continue their unbeaten run start to the season against Gillingham on Saturday. Cauley Woodrow is also a doubt as he has a muscle injury, making it a frustrating start to his Reds career after he did not sign in time last week to make his debut at Scunthorpe. Lloyd Isgrove and Ryan Hedges are also missing. 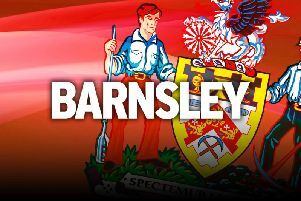 Meanwhile, Barnsley's game with Luton on October 13 has been moved to a 12pm kick-off for television coverage, subject to international call-ups. But with Adam Davies and Kenny Dougall getting picked by Wales and Australia for next week's international break, that game might well get postponed.